Apart from Google Docs, Zoho Docs is also a great tool to work on documents online. In addition, you can also create as well as edit spreadsheets and presentations right from web browser without needing to install additional app. Zoho Docs is one of the best online word processors. When you create a new document with Zoho Docs, your document file will be automatically saved to the cloud which is become a part of the Zoho services. You can manage your your document files by creating folders on Zoho. Zoho also allows you to download your document files to your computer. But, there is a clever way offered by Zoho if you want to have an offline backup of your Zoho Docs documents. 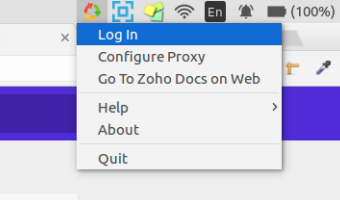 You can sync your Zoho Docs to your computer. 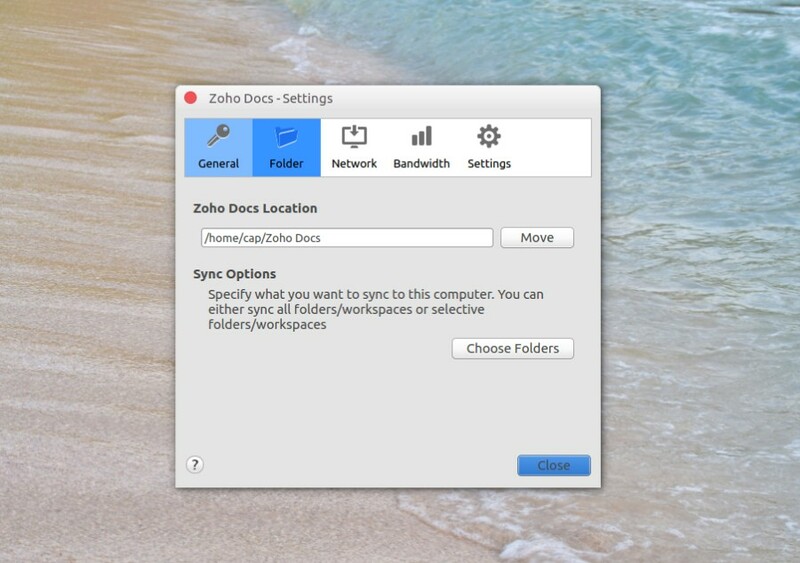 Zoho Docs offers Zoho Docs Desktop, a desktop client app you can install on your computer. This app will sync your Zoho Docs documents to your computer. Every time you make changes on your Zoho Docs account, the changes will also be taken to your computer thanks to Zoho Docs Desktop. Zoho Docs Desktop is available for Windows, macOS and Linux (more specifically Ubuntu). 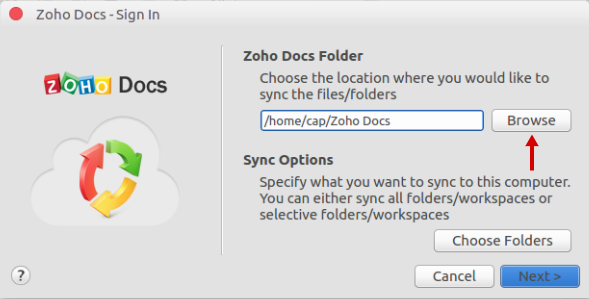 This article will show you how to sync Zoho Docs in Ubuntu. Follow the steps below to do it. 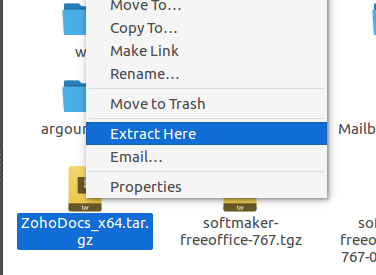 First off, download the package of Zoho Docs for Ubuntu from its official site and extract it by right-clicking and choose Extract Here. The extraction process will result a new folder named “zohodocs” which contains two files, an installer and an uninstaller, respectively. To install Zoho Docs Desktop, simply double-click the installer file (Zoho Docs Installer). Wait a moment until you see a Zoho Docs Desktop icon on the Ubuntu icon bar. Click on it and select Log In. 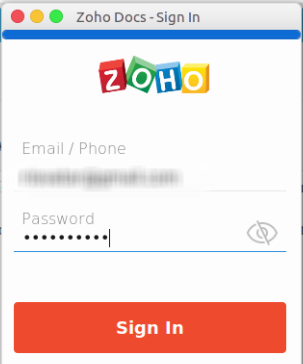 Login with your Zoho Docs account. Choose a local folder where you want to sync your Zoho Docs files/folders by clicking the Browse button. 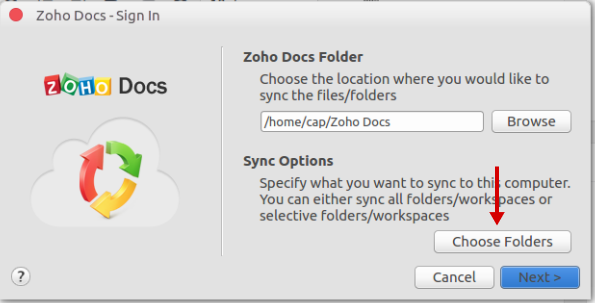 If you don’t set this one, Zoho Docs Desktop will create a new folder on your Ubuntu named “Zoho Docs”. Click the Choose Folders button to select the Zoho folders you want to sync to your computer and then click the Next buton. Click the Finish button to start syncing. You don’t need to make other additional settings or installations. Zoho will automatically be launched every time you turn your computer on. 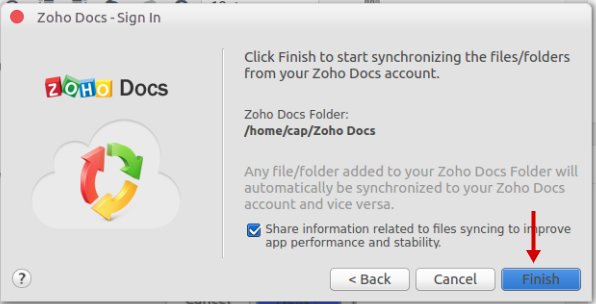 In the future if you want to stop Zoho Docs Desktop from syncing your Zoho Docs files, return to the “zohodocs” folder and double-click the uninstaller file.